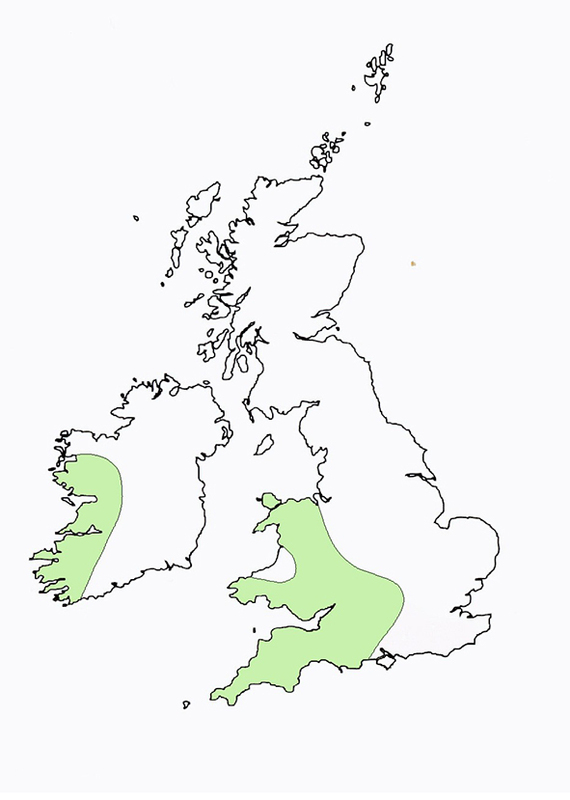 In Britain, the lesser horseshoe bat (Rhinolophus hipposideros) is now restricted to Wales, the west midlands and south-west England. In the early 1900s, it was found as far north as Yorkshire and along the south coast of England as far east as Kent. Its British population has recovered strongly in recent decades and now numbers some 50,000 animals. Unlike the greater horseshoe bat, the lesser horseshoe bat is found in Ireland where an estimated population of between 9,000 and 10,000 individuals is restricted to the mid-west and south-west of the country. training workshops based around its reserves and using the Lesser Horseshoe Conservation Handbook to inform ecological consultants and SNCO staff about appropriate mitigation measures for the species. Number of young:One, called a pup, born mid June to early July.